Do you know how I pictured America before I moved here? Like Hollywood portrays it: skyscrapers, yellow taxis, millionaires walking down the streets and cops with donuts in their cars. And if there are really a lot of millionaires and policeman here, then the skyscrapers and architecture are just exaggerations. After visiting several states with my husband, despite all the beauty and picturesque landscapes, I was tired of same signs, same buildings, and same shops, I wildly wanted to be back in Europe. To be honest, this getaway broke my heart because at the end of our week, I did not want to fly back to my beloved California. Boston is actually a slyly cool town. With its rich heritage, amazing ancient architecture, stylish people, beautiful nature, delicious food and devotion to the sport, the Hub is a wonderful place to spend a day, a week, or even a lifetime. I do not want to bore you with a typical 10 Things to Do in Boston that all list “go to the Museum of Science” and “see a Red Sox game.” Those are obvious. I would rather offer you my exciting suggestions that will allow you to realize the beauty of Boston. 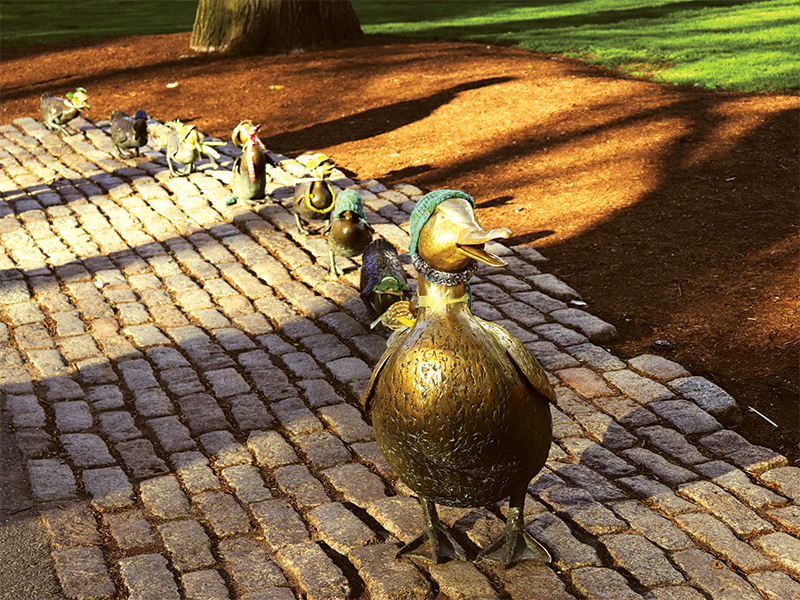 Ready to take an unforgettable walk through Boston’s history? The red stripe marking the Freedom Trail stretches for 2.5 miles through Boston’s most historic neighborhoods and takes you to 16 sites essential to the birth of American liberty. Boston has more sites related to the American Revolution and America’s fight for independence than any other city. 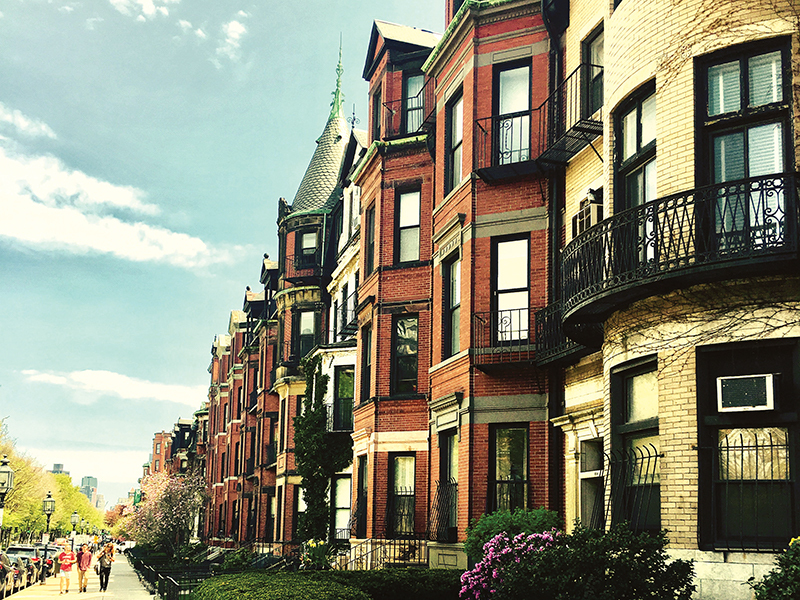 As you walk along the Trail, you’ll travel through Historic Downtown Boston, the North End, and Charlestown, from Boston Common to the Charlestown waterfront. All of these sites are authentic – not re-creations or reproductions. We passed through all of the city’s sites in two days. We highly recommend spending a couple hours at the North End, also known as a “Little Italy” which struck with the authenticity, architecture and the tastiest cafes and restaurants. Although in any city there is an Italian quarter, I was blown away by the originality and beauty that distinguishes this one from all the others. To study at Harvard is the dream of hundreds of thousands of students around the world. But a walk through the oldest and most prestigious institution is a must after your arrival in Boston. The walk from the center of Boston to Harvard University took us about an hour, but on the campus, you can walk endlessly. Go to the Harvard Information Center to take a spirited and entertaining free walking tour of the campus guided by a student who will share history, Harvard lore, and personal perspective. The most popular statue of John Harvard that stands in Harvard Yard and is the third most photographed statue in the U.S. is a fake! Despite its popularity, Harvard students call it the “Statue of Three Lies” because the inscription reads “John Harvard, Founder, 1638”. John Harvard was in fact not the founder but rather a benefactor who was honored in the naming of the university. Harvard was also not founded in 1638 but in 1636 and is the oldest college in the U.S. Finally, the statue is not actually a depiction of John Harvard, but of a random student sculptor, Daniel Chester French used as a model. John Harvard’s foot is also one of the shiniest objects found on Harvard campus because of the countless people who rub it for good luck. However, be warned, mischievous Harvard freshmen are known to play pranks that leave his foot quite unsanitary! This Getaway experience was probably one of the best in my life. If you have more than two days for New England, I highly recommend booking a night in a 160-square-foot wood cabin for roughly $150 per night. These cabins are located over an hour away from Boston in the sleepy forests of Southern New Hampshire. It is definitely worth checking out if you need to unplug, recharge, sing with the birds, meditate and reset your mind. Each cabin has one or two queen beds, fresh linens and pillows, a hot shower, bath products, an electric toilet, a heater and a mini-kitchen. Getaway founder and CEO Jon Staff, who started the business with fellow Harvard graduate Pete Davis in 2015, said the tiny houses had been almost 100-percent occupied since the company launched, and that he has a steady waiting list. Bostonians have an undeniably distinct accent. Even if you’ve never stepped foot in the city, you’ve seen the movies. The Departed, Good Will Hunting, Mystic River, Ted – all solid representations of the city’s recognizable linguistics. A native to neighborhoods in the Boston area, like Charlestown and Dorchester. Boston’s favorite coffee shop, Dunkin’ Donuts. A barber, or a person that cuts hair. 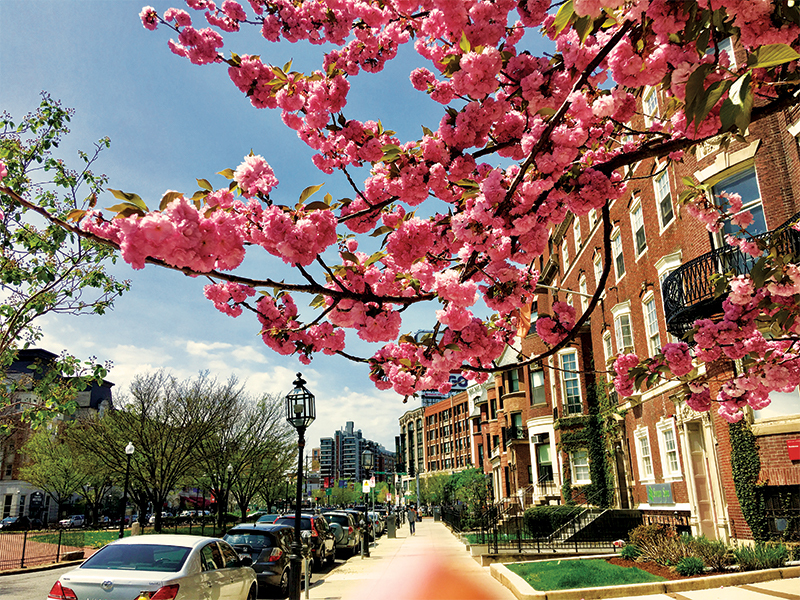 Boston is struck by the combination of style, science, history, and nature. It does not look like any American city. 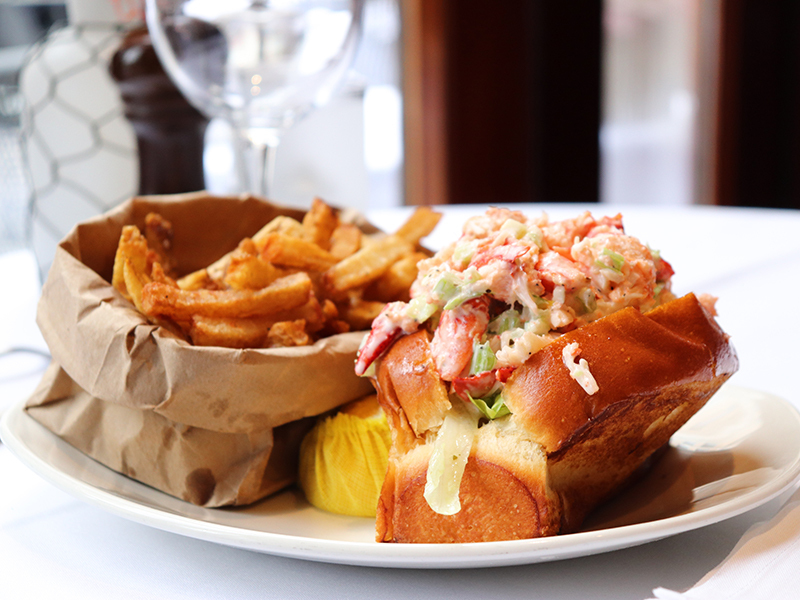 Boston is home to some of the best lobster rolls, chowders, fried clams, and cod dishes. There’s no excuse not to try them while you’re here… unless you’re allergic to seafood. We highly recommend reserving a table at the Atlantic Fish & Co restaurant. The restaurant originally opened in 1978 and is known for offering a wide variety of the freshest seafood available. If I had to describe this restaurant in 5 words, they would be fresh, quality, friendly, classic, and Boston. The density of stylishly dressed people per square meter is ten times higher than the average for the United States. The American Fitness Index named Boston the fifth healthiest city in the country last year. Also in 2016, Money magazine called Boston the best city in the Northeast. Now, Deutsche Bank says Boston is the eighth best city in the world in terms of quality of life. Boston is the highest-ranking US city on the latter list, with locations such as San Francisco (18) and Chicago (22) also making the cut. Overall, 47 cities were ranked.